Put water, fruit, butter and sugar into a medium sized saucepan and bring to the boil, then simmer for 20 minutes. Allow to cool (if it is -4 degrees like it is here in Berlin tonight you can go and stand on the balcony with the pot…just saying 😉 ). The reason for cooling is so that when you add the egg in the next step it doesn’t start cooking. Add egg, then flour (+ baking powder if using), and mix. Spoon into a greased loaf tin and bake for 1-1.5 hours at 150 degrees celsius. Remove and cool slightly before removing from tin. Baking powder and vanilla essence. Because it’s just different here. Actually my Czech husband was the one who threw these into the shopping basket when we visited SA, so he must have come to appreciate them too! Mixed spice – not available in Germany, although there are other great mixes like Lebkuchen mix that fill the shops around Christmas! Fruit cake mix. Fruit cake isn’t a thing here. You do get fruit bread in Nuremberg though. There’s also no fruit mince, but I found a recipe for it online. 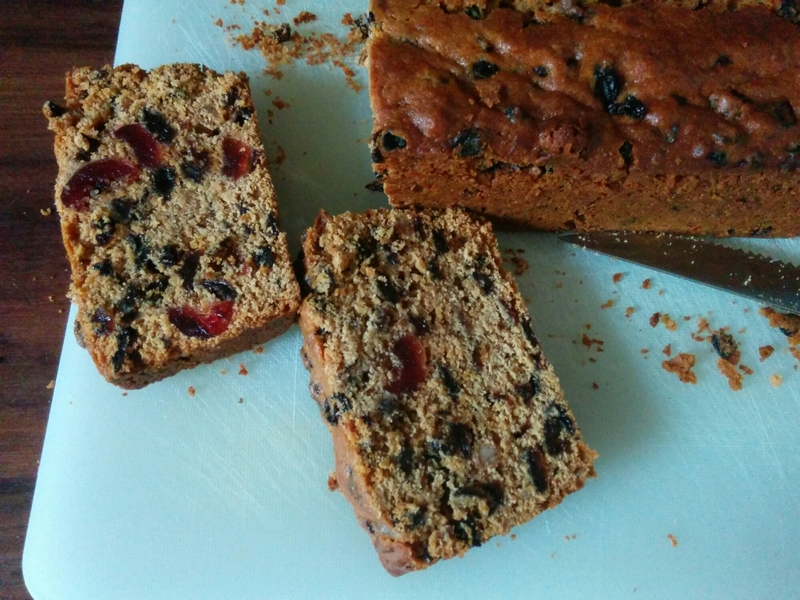 Fruit cake mix can be self-made by combining raisins, sultanas, currants and candied peel, but it’s convenient when it’s pre-mixed. This stuff, I missed it! I haven’t seen it sold here, so until I brought some back with me I was using butter wrapping to grease pans. Not really for baking, but I was in the cupboard so I took a photo. You have to have chutney to make bobotie! I find Mrs Balls and Wellington’s equally good. Hot English mustard is also useful for making cheese muffins or scones (the mustard powder is useful for baking, but I didn’t get some). You can get caramelized condensed milk here (from Russia) to make our classic South African dessert, peppermint tart, but I was curious to try this new South African product which is peppermint caramelized condensed milk (it could make a nice cake topping/filling). Oh that looks so good. My favourite!